I am not the best in being highly organized, but with so much technology information, you have to use technology, to help you organize your technology finds. I’ve found some tools that are great in assisting with organizing your technology, sharing and displaying them. Many have heard about Pinterest, but as a tool for clinicians, Pinterest can serve many purposes. Pinterest is an online pin board that helps you collect and share things that are important and inspire you. 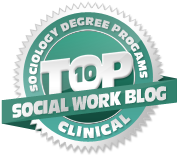 So there are a lot of great articles out there on how to use Pinterest, but here I want to focus on how a clinician/social worker can use Pinterest. Be creative with the name of your main board connecting it in some way to you, the professional. Think about your overall goal. Are you pinning things to use in therapy, resources, certain subject matter, videos, etc..
Add the Pinterest bookmarklet to your browser so that you can easily pin from the web. Browse others Pinterest boards to see what and how they are pinning before you create your boards. Name your boards titles that will assist in organizing your finds. 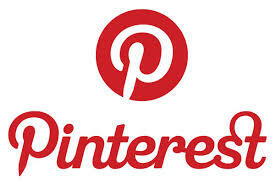 Be an active part of the Pinterest community, if you like a pin, give it a like or repin it. Make sure when repinning that you check out the sites accuracy by going to the originating site linked on the pins page and make sure the site is authentic and not inappropriate. If you don’t have time to check out a pins authenticity, use the like button so you can come back to that pin when you have time to review it. Be your own creator. Don’t just pin from others board, take time and pull from your bookmarks you’ve saved on Diigo or Delicious, etc., and categorize them on one of your Pinterest boards. Remember the object is to get the word out about you and your profession and the more fresh and innovative you are the more others will be interested in you. There’s plenty more I can say about using Pinterest for an organizing, promoting and sharing tool but as they say “actions speak louder than words,” so check out my Pinterest page and boards, affectionately called, Socialworkpad. What else could it be! Schools out, vacations here, and its summertime; it’s your chance to organize! Have you ever wanted to have your favorites (web sites) accessible from any computer at any time. Do you want a better way to organize your favorites and have the ability to share your favorite sites with others. What about having a group of like minded individuals share web sites and great finds with each other at one location where they can be referenced by the group continuously and commented on. Look no more because diigo is your tool! I would suggest that when choosing a tool to collect, share, highlight, annotate, and access anywhere you check out diigo. I have used diigo for some time now and found it useful to have the ability to bookmark a web site or page that I feel is useful, and be able to share it with others instantly or just file it to return to later. Diigo has been valuable as a research tool for me, as I have joined a couple of groups that collect and share bookmarks consistently. As you begin to organize your sites that you reference professionally, diigo is great for this. I think this is my first go to place as I am collecting and curating my web finds. I suggest adding the diigolet tool to your favorites bar (this is very easy) so you can just click on the icon and bookmark instantly. After collecting and organizing your bookmarks, you can then take your resources and place them in other web tools such as Pintrest, Scoopit, Livebinders etc., as a more visually stunning way of showcasing your collections. I will discuss these tools and more, as I write more on tools that help you organize.